Where exactly is Sumba island? When we first started planning our travels in Indonesia, one of the first things we did was take a look at the map covering the 17,000 plus islands of the territory, to try to identify places that we had heard about and wanted to go to. We had never heard of Sumba island. We didn’t know anyone who went there or even knew how to get to Sumba island, mentioned it, or could provide any information at all. And when I asked for any information or advice on a 20k+ member group set up for backpackers in Indonesia, I got no response other than people asking me for Sumba information or about things to do in Sumba island. Intrigued, I ran a Google search which yielded very little useful information (bar for a recent top model photoshoot, more of this later). Sumba was becoming more and more interesting as I started looking up ways of getting to and traveling around an island which sounded so raw and undeveloped. Yet when I looked for flights to Sumba island, I realised that it was merely one hour’s flight away from Bali, yet sounded incredibly different. 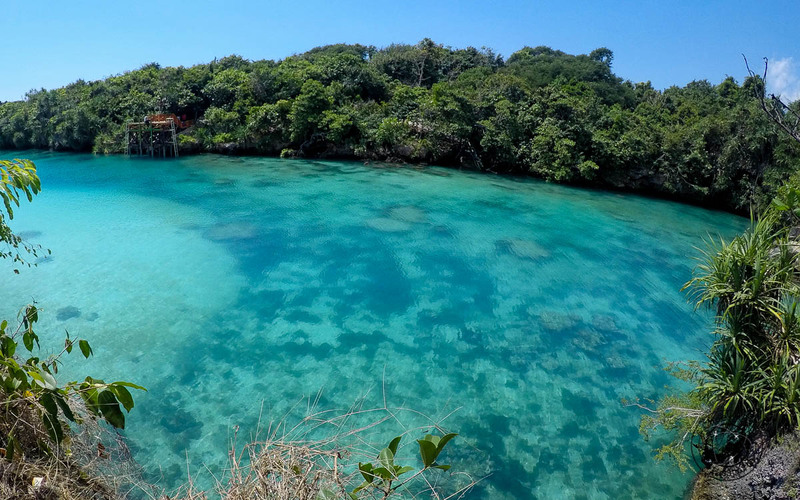 Sumba island lies in Eastern Nusa Tenggara. Unlike many of the more popular islands in Indonesia, it is not green and lush, but dry, dusty, arid and sparsely populated with very little tourism infrastructure. We always promote independent travel, without the need of an organised tour, but if you have difficulty planning your own trip, or you are short on time, we suggest that you take a look at the trips by G Adventures. Even if we managed to get there, what would we do on an isolated island especially seeing that Sumba information was so lacking? Granted, we would surely find some way of exploring the island, but would it be dangerous? Would we manage to communicate with the locals? 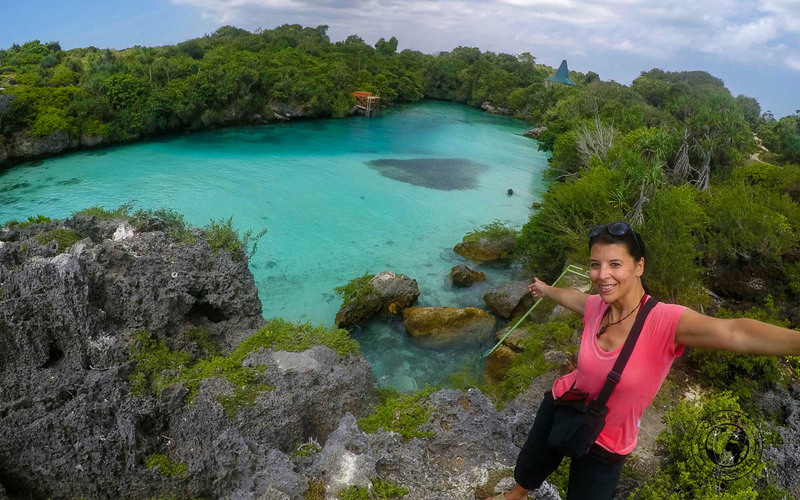 Were there enough things to do in Sumba island to justify the hassle? 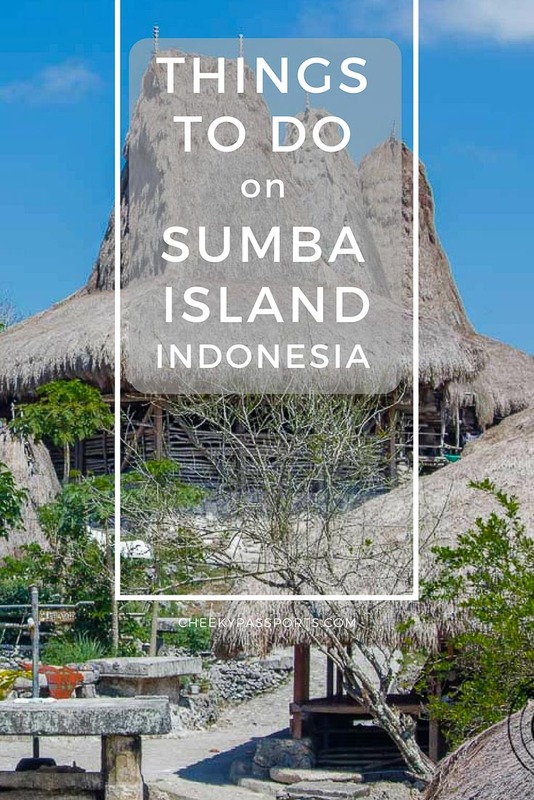 Since we only had five full days to spend on Sumba island, our first decision was whether we should concentrate our efforts on visiting the west or the east side of the island (both home to an airport). 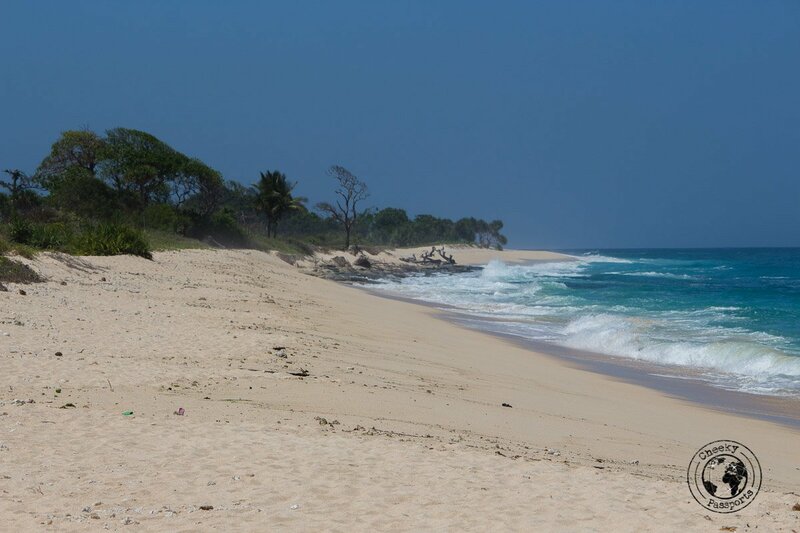 Using Nusatrip, we quickly found out that direct flights to Sumba island from Bali were pretty regular. After thoroughly researching all the Sumba information available, we decided on the west since the traditional villages seemed to be very accessible on that part of the island, and the few images available online depicted stunning beaches and a wonderful coastline. What is probably most impressive about Sumba island, is that, unlike other places, ancestral traditions are still very much alive, and this is in no way for the benefit of tourists, since quite frankly, there aren’t any. *Since the original post was written, we have noticed an increased interest in Sumba island, so the likelihood of meeting other tourists here has now increased. The most widely-practised tradition is that of belief in the Marapu religion, where a combination of ancestors and spirits are worshipped, as well as an all-seeing, all-hearing god whose name must not be pronounced. Here’s a short guide to West Sumba and 10 things that you should not miss out on when visiting the Indonesian island! 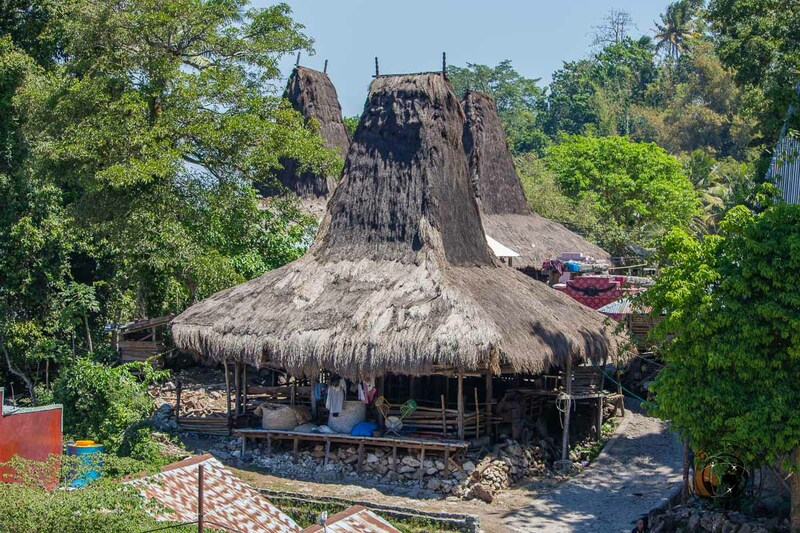 Sumba Island is home to many traditional villages which can be visited by foreigners. The villages are typically surrounded with a stone walled entrance and an exit gate. Tombs and altars are located at the centre of the village and the houses usually form a circle around it, or are arranged in such a way as to form two parallel rows. Houses and villages are traditionally built on hills or mountains so as to be protected from enemies, and also to be closer to the spirits and ancestors. Tall, pointed roofs made of dried grass (or corrugated tin for the more modern ones) are very typical of Sumbanese houses and can be seen all over the island. The villages can normally be visited by enlisting the help of an English-speaking local, but we decided to visit independently. 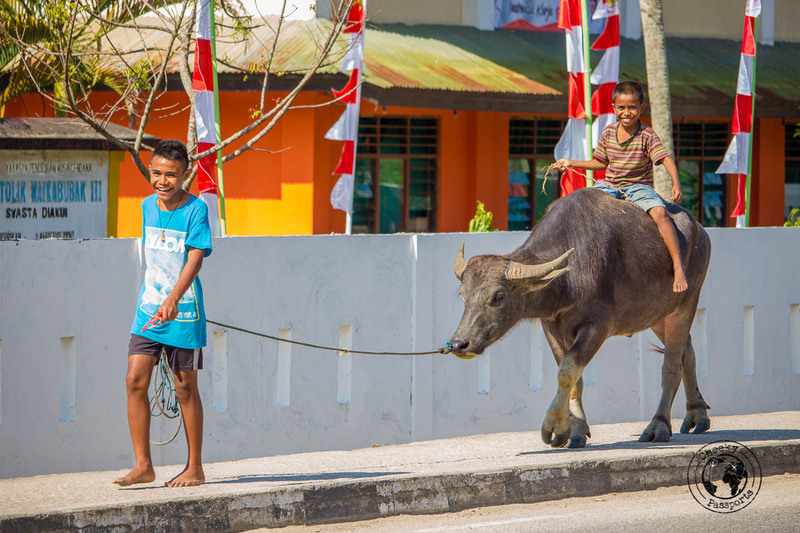 We were based in Waikabubak which is quite a regular Indonesian town but has a high concentration of traditional villages right around it, some of which were located within walking distance from our accommodation. Do be aware that with the lack of Sumba information available, hiring a guide on Sumba island might be a very good idea! We knew that the villagers would appreciate (expect) gifts of betel nut, lime and cigarettes so first order of the day was to get our hands on some of those. Not a difficult task at all – betel nut sellers are found lining the pavement of the main road in Waikabubak and cigarettes can be bought from any little shop in the same road. Finding the villages was very easy. We went to Bodo Ede, Tarung and Waitabar Villages, all of which are very close to each other. The villagers were incredibly welcoming and friendly; they crowded around us and laughed as they asked for their pictures to be taken and shown to them. We weren’t sure about the correct way of handing out our gifts or whether these should be presented to the village elders, but we soon realised that handing out a few to different people seemed to work well. We were also asked to sign tattered guestbooks in every village, inside which, we also left a small tip (20,000-50,000 IDR – €1.25-3.10) which seemed to be highly appreciated. Asking for the guestbook upon entry to the village is a good ice-breaker, as it is usually held by the chief family of that village. A quick way of getting to know who is who! All three villages are quite similar in structure and walking through, among the houses, is quite an experience. 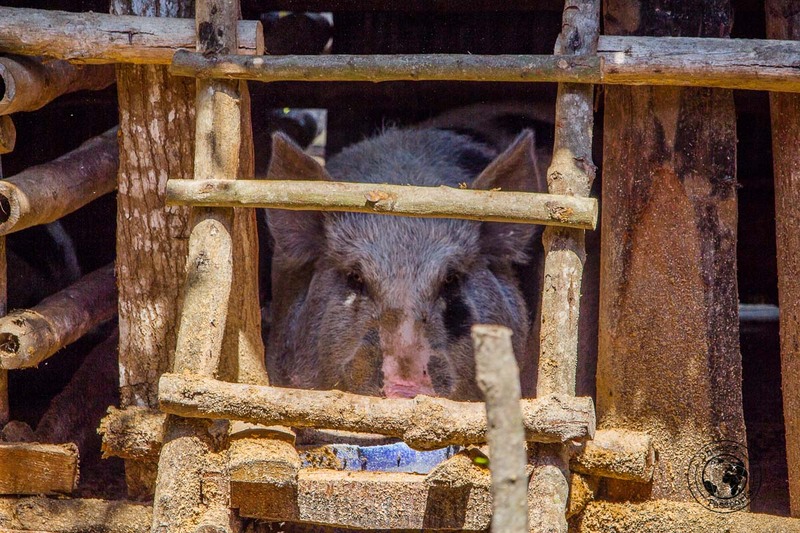 The houses are built from wood and grass, with pigs and chickens running in and around them. One family in Tarung took us into their home and offered us coffee as they tried to communicate and explain about the setup of their home using a mix of Bahasa and sign language with some broken English. They seemed genuinely intrigued, and happy to try speak to us and get to know us a little, and although there was an expected push towards showing us souvenirs and traditional handicrafts, they were in no way insistent that we buy anything. Eventually we purchased a wooden pendant for myself for 50,000 IDR (about €3.10) which is apparently a symbol of womanly beauty (Nikki thought it was a symbol for a buffalo). Three months on and I haven’t lost it yet! Many of the items on sale were genuine, hand-crafted items and we would have loved to purchase more of them, if only we had space in our backpacks in which to carry them, not only to support the villagers, but also because they were genuinely beautiful and of course, authentic. We also met the lovely Yuliana at Tarung, a professional guide who would be more than happy to help foreigners around Sumba. She explained that she learnt English by herself, and can also speak French. She can be reached at yuli.sumba@gmail.com or on (0812) 361 3224; (0822) 3621 6297. Although we didn’t actually use her services, after talking to her for a while, we knew that we would have been very happy to let her show us around, had we considered using a guide! Oh, and she is also one of the few people in town who can rent motorbikes out! UPDATE – we have since been informed that, sadly, Tarung traditional village suffered considerable damage in a fire. Rebuilding of the village seems to be in progress (as of end 2017). 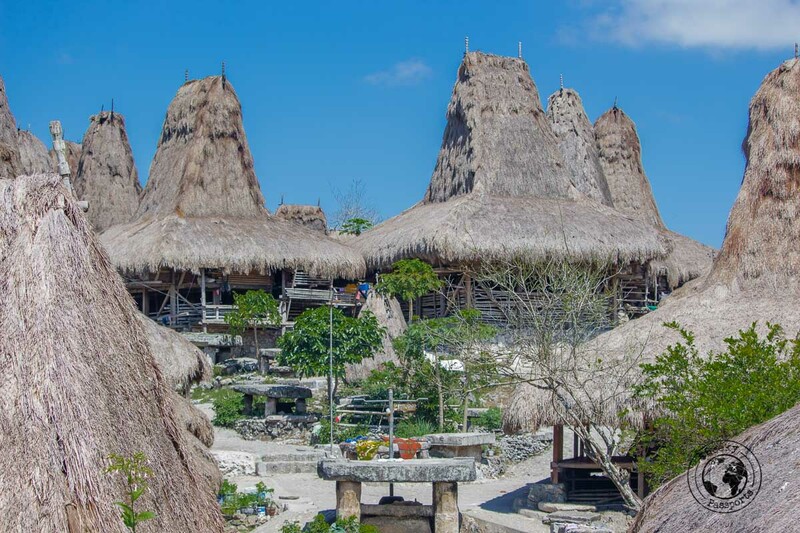 Visiting traditional villages is easily one of the best things to do in Sumba island! Related: Lake Toba Travel Guide! If you’re comfortable riding a scooter or a bike, this is a great way of getting around an island where public transportation options are limited and roads are few (but plenty of trails). Unfortunately, it can be quite difficult to rent a bike. It took us a good two days. First we asked the owner of the hotel we were staying in, who said that his friend would rent out his, and would be coming along with it the following morning. He never turned up and towards midday we were told that he had a change of heart and didn’t want to rent it out after all. Luckily that was when we met Yuliana who said that she would rent out one of her two bikes as soon as she had them returned, but that would be in two days’ time. In the meantime she didn’t know anyone else who could rent out a bike so we just waited until one was available. Eventually we used the bike over two days to explore the southern part and westernmost part of West Sumba (Sumba Barat Daya), which gave us the flexibility to ride through trails and paths to access parts of the island which we would have never managed to get to using public transport. Never mind the beautiful rural rugged scenery, driving around the island is a wonderful experience and a fanstastic way of exploring Sumba! Once you are noticed by the locals (and you will be …. from far off), you will have crowds of kids running up to meet you whilst grinning adults shout “meeester meeester” as you fly past them. The genuine excitement induced by our presence in the little villages off the beaten track (which constitutes anywhere around Sumba island really) was almost contagious and we would have loved to be carrying some gifts for the kids – sadly, we were not. 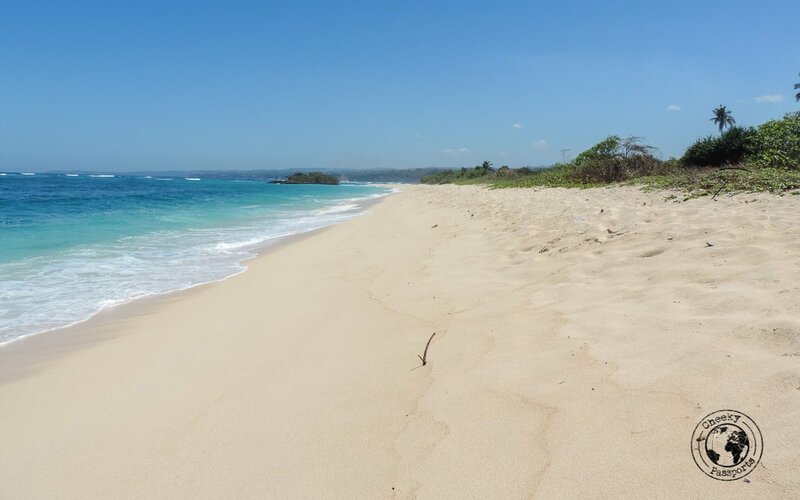 Sumba’s beaches are not only spectacular, but they were also gloriously empty when we were there and I suspect that this is a rather common state if affairs on an island which is almost devoid of tourism. In one day we drove from Waikabubak to Marosi Beach, Kerewee Beach, Wanokaka and Rua Beaches stopping to admire the different shades of blue at every spot. Although we had not planned on swimming this time around, I got gloriously soaked from head to toe by a random wave when passing through what I thought was a dry spot between two coves. Do not underestimate the sea forces and currents here, there’s a reason for the island’s fame as a pro surfing spot! I was not hurt, but my camera was less lucky. There is very little infrastructure on the beaches; take all the food and water that you need with you and fill up your fuel tank up on the main roads! 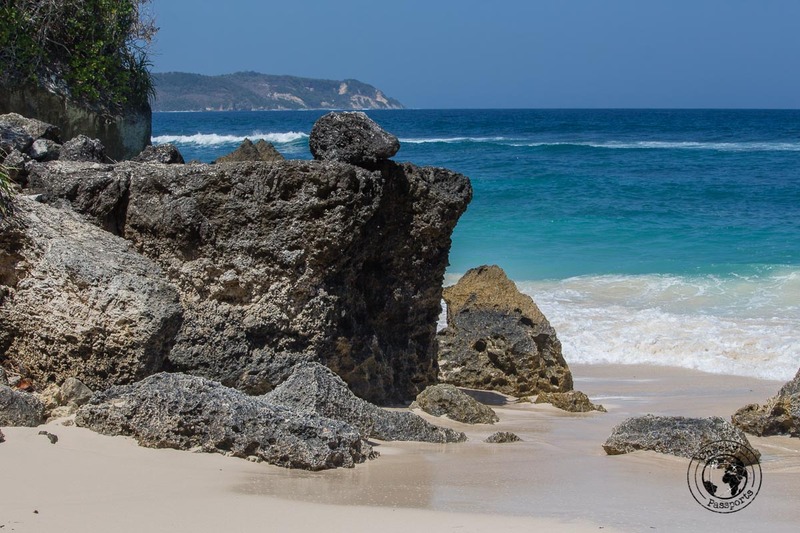 The beaches on Sumba island are not for those looking for a resort-type of experience, but for those looking for a raw and rugged coastline which remains unspoilt by any form of development. 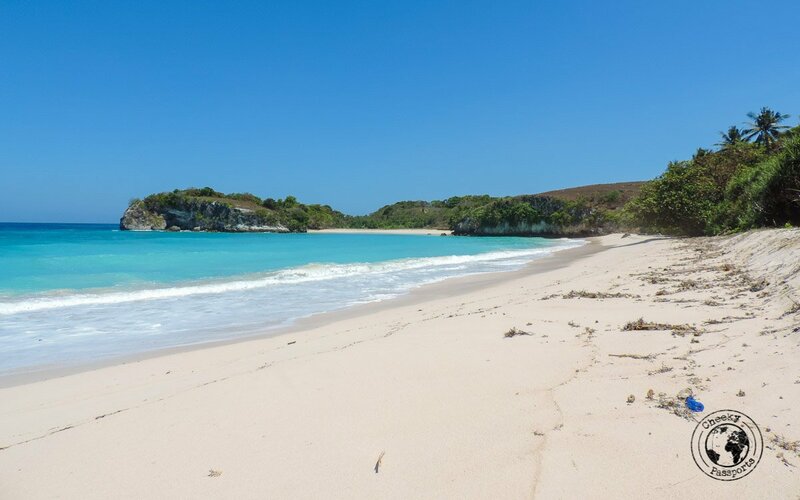 If this is for you, there’s little doubt that you will be awed by the shimmering empty sands and blue waters of the beaches of Sumba island! Sumba island is very well-known among the surfing community for being one of the best spots in Indonesia in which to chase waves. 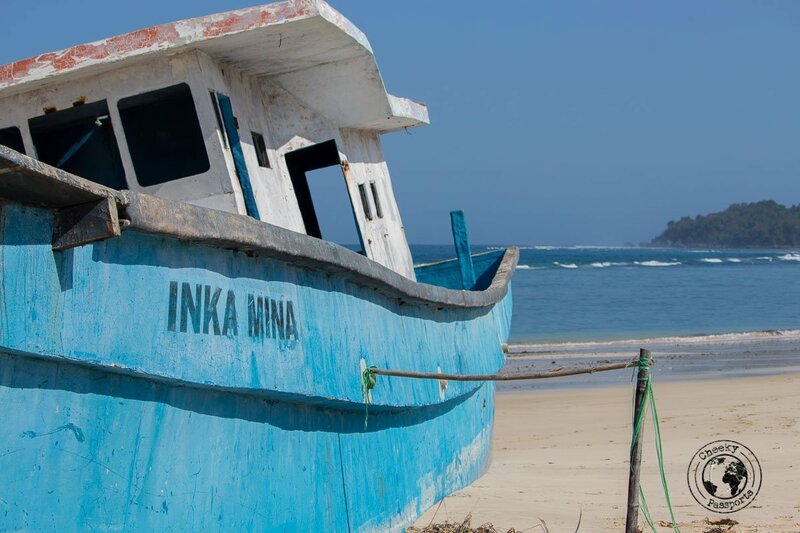 In fact, the few foreigners who actually make it to this remote island are usually surfers who prefer to stay on the coast rather than explore the island. If you’re into surfing, then this will probably be your favourite activity out of all the things to do in Sumba island. This is without doubt Sumba island’s gem. Crystal-clear waters, a sandy bottom and sparkling blues surrounded by rugged cliffs. We visited in the afternoon at a time when the lagoon was practically empty and it was incredibly difficult to leave the spot after a few hours! There’s a little hut just before entering the lagoon area where you get to sign your name and leave a tip. 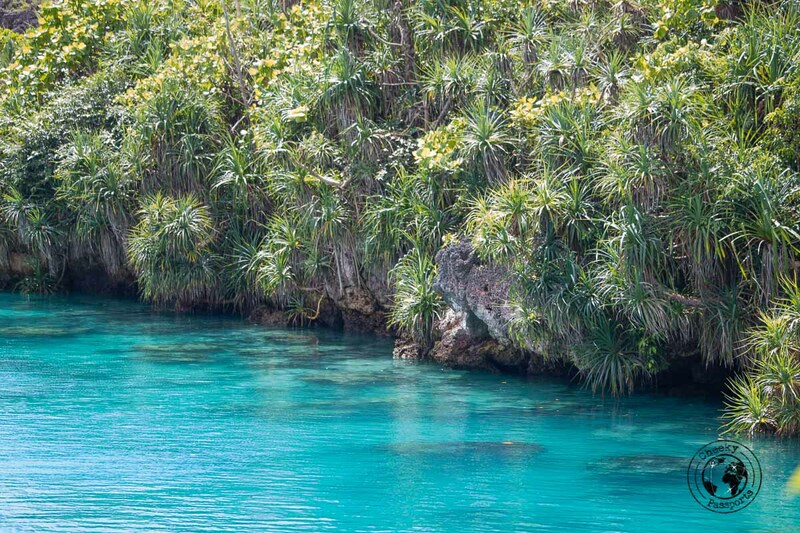 Swimming in the cool waters of We’ekuri lagoon was easily my favourite of all things to do in Sumba island! 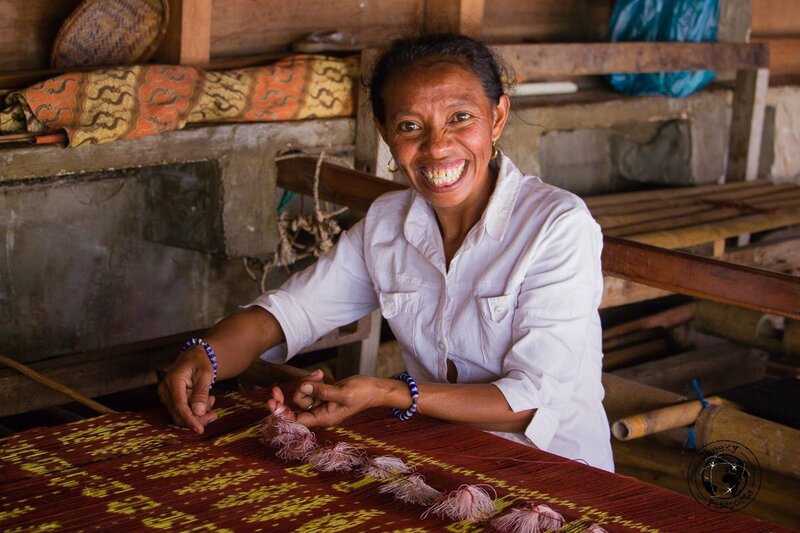 Sumbanese textiles are among the most beautiful and intricate in all of Indonesia. They are said to be the medium in which the present generation passes on messages to future generations. The symbolism associated with the Sumbanese cloth can be complex but there’s no doubt that the product is of the highest quality which is valued not only in Indonesia, but also internationally. You can watch ikat being made in any traditional village by means of a skilled process which seemed very complicated to us! Ikat is often a symbol of status and power and is highly prized within the community because of the time and efforts used to make it. Genuine ikat is made from natural dyes extracted from tree roots, bark and leaves of indigenous species. There’s very little doubt that the ikat you can see being made in the villages is anything but a genuine article. Sumba is not set up for tourists (yet)! When travelling around Sumba, you will find it impossible to miss the thousands of massive, decorated tombstones dotting the island. They are everywhere! The tombs are a very important part of the death culture on the island since the Sumbanese typically believe in life after death. Sumba island is in fact sometimes referred to by archaeologists as “The Living Megalithic Culture”, one of very few which are still active today. 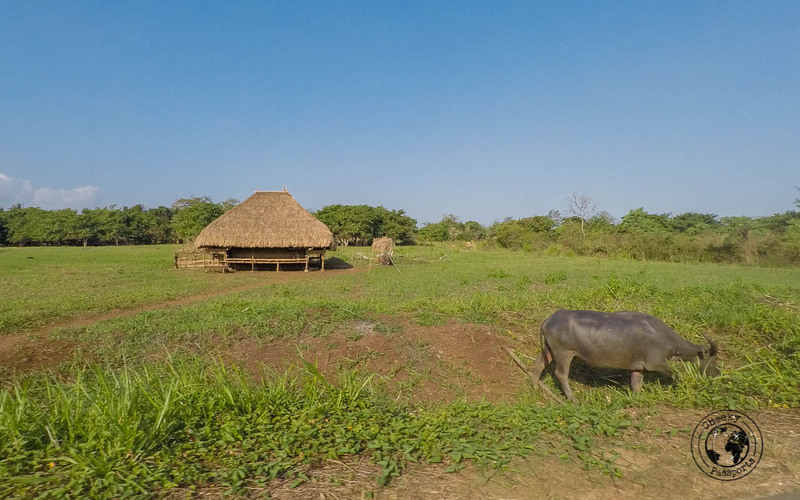 Whilst archaeologists are evaluating old megalithic cultures, many of which died out years ago, some Sumbanese tribes are still building huge structures in line with ancestral traditions. 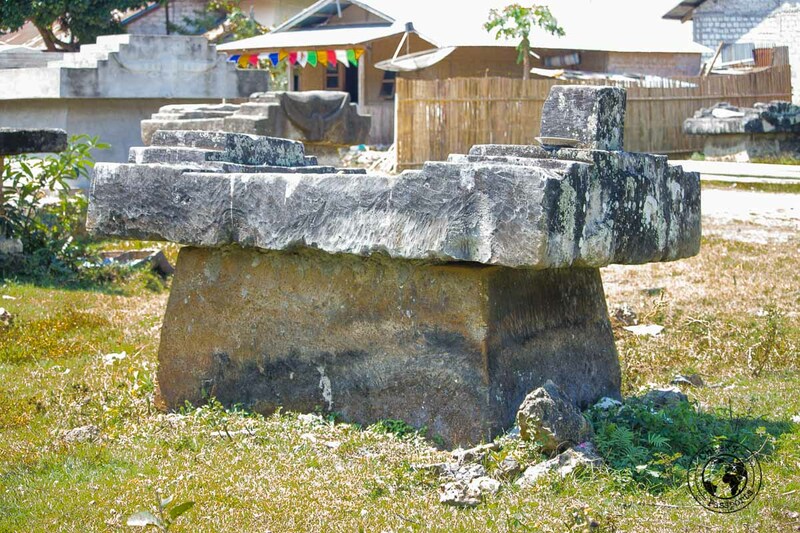 These huge tombs are expensive structures, and people in Sumba are often said to be born into debt since their relatives’ tombstone debts are passed on to the next in line. These megalith tombstones in fact require hundreds of men to drag the stone from the quarries, all of which are fed by the deceased’s family, resulting in high costs. 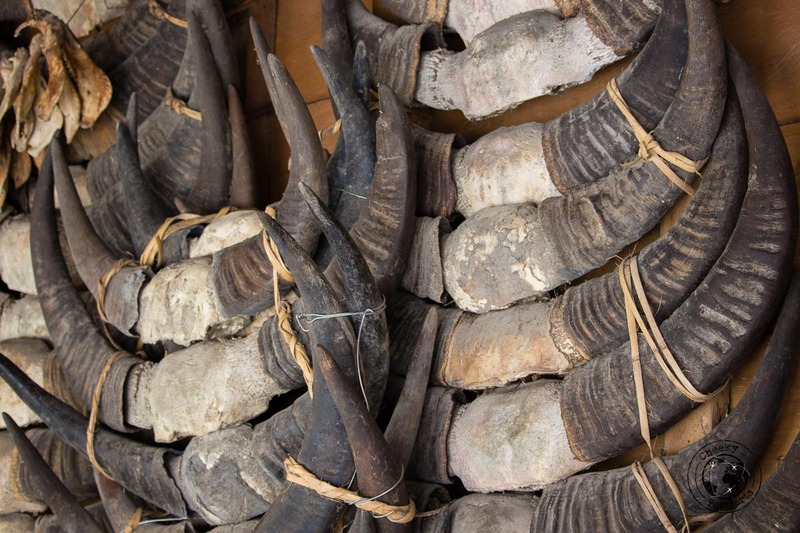 Like elsewhere in Indonesia, buffalo and other animals are often sacrificed at a funeral, so the costs of a funeral might often accumulate to the point where one would need a small fortune (even by western standards) to bury a relative. The tombs are not laid and forgotten, but considered to be very much a part of everyday life. With their flat surface area being put to good use, it is not uncommon to see rice or fresh laundry spread out on top so as to maximise on the strong sun’s drying potential. Nowadays, many Sumbanese have converted to Christianity so lots of Christian symbols may also be found on the megaliths alongside with the buffalo engravings, making for a strange but fascinating combination of religious imagery. When visiting the traditional villages, locals will want to dress you up in their traditional clothing. Initially, we didn’t like the idea of this much, since it seemed like a very touristy thing to do, but we soon realised that the aim of this activity was not for us to take photos as souvenirs, but for the villagers themselves to take photos of us dressed up in their traditional clothing! Nikki wore a short sarong (Hinggi) around his waist and an ikat turban with figurative motifs around his head. I was asked to wear a long sarong whilst a thick sash made out of the same material was draped around me. Men also carry a kabeala, a long traditional knife or sword which we were quite fascinated with. This doesn’t seem to be a ceremonial weapon, but rather an accessory that is carried around at all times. 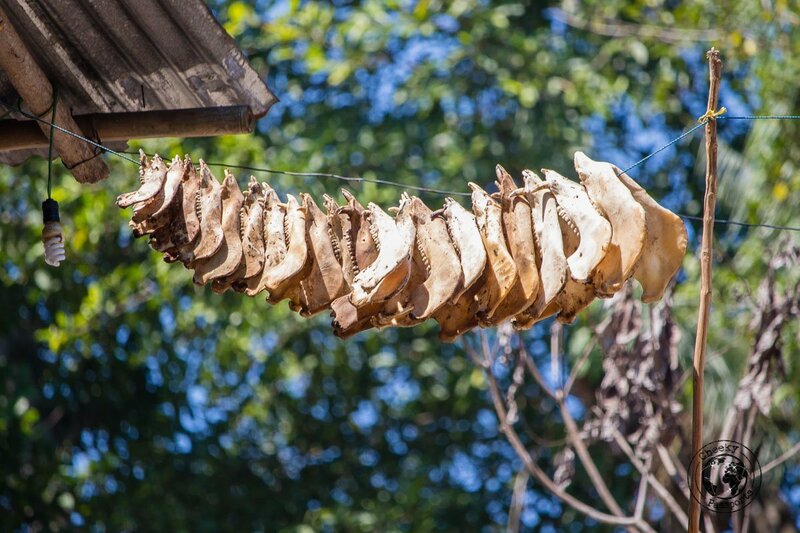 After having left Sumba island, we were told by an Indonesian acquaintance that tradition goes that if a knife is ever drawn out of its sheath, it is considered as a bad omen to place it back in until blood has been shed. We were happy that we didn’t notice any knives being drawn whilst still on the island! This festival typically occurs in February and March in West Sumba and is a traditional horseback “war” between villages, during which spears are thrown in and blood is shed to ensure a good harvest. The annual event takes place in the Kodi, Lamboya and Wanokaka, about 6-14 days after the full moons in February and March, so it is not the easiest activity to plan around. Animal sacrifices are made, spears are actually thrown and serious injury of participants is not uncommon although deaths are rare. Since we visited in August, we never got to see this festival of course, but we do intend on planning our next trip to Sumba island around the festival eventually! Known to be one of the prettiest waterfalls in Sumba island, these cascades are reached via a short jungle trek. The waterfalls can be accessed via the Manupeu Tanah Daru National Park with an entry fee of IDR 150,000 (about €9.30) per person. Hiring a local guide costs IDR 50,000 (about €3.10) per person. 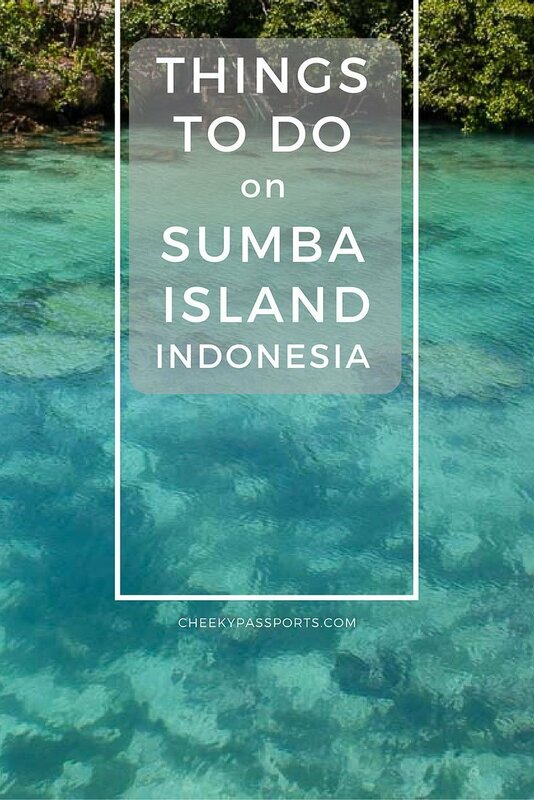 We didn’t have time to go to the waterfall due to shortage of time, but we’re including it on our list just the same because it has already made the list of things to do in Sumba island on our next trip! You can swim in the pools during the dry season. Sumba island is incredibly well-connected. Its two main airports are located in the west (Tamboloka) and in the eastern part of the island (Waingapu). Different companies (Nam Air, Garuda, Trans Nusa) operate local flights to Sumba island with connections in Bali, Kupang and Ende, and Waingapu is also served by flights from Maumere and Labuanbajo (at the time of writing). With Sumba information becoming more available, and the island’s popularity increasing, we believe that more and more flights will become available. As most of the Indonesian airlines do not accept pre-booking by western credit cards, we strongly recommend using NusaTrip as your flight and reservation search engine. We had no issues using our cards with them, and the booking process was always very efficient. ASDP Ferry Indonesia run ferries from Aimere in Flores to Waingapu in East Sumba. 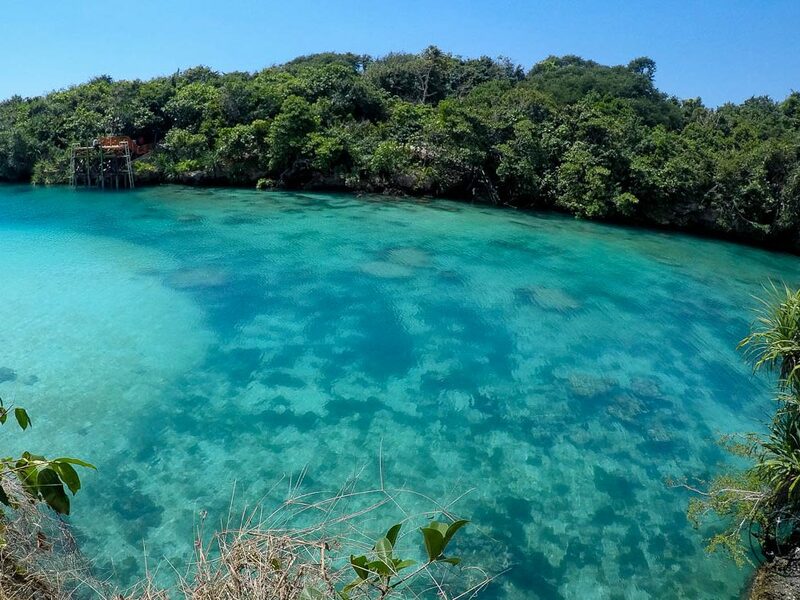 The ferry rides are often described as crammed and uncomfortable, so unless you’re on a very tight budget, taking a flight might be a better option, especially if your destination is West Sumba. There are no official taxis, but a number of drivers with 4×4’s will be ready to take you and your luggage around. Whilst hailing one from the airport is possible, it is better to have one pre-booked. Whilst in Sumba island, we used the service of Rinus (081236998976). 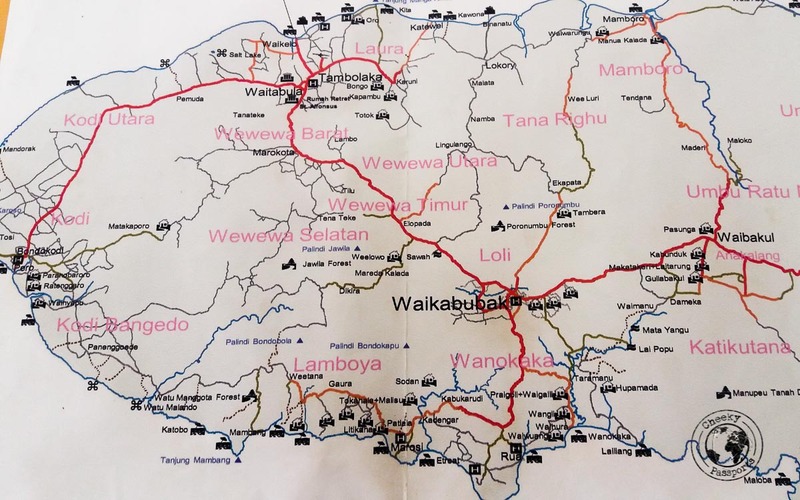 A shared taxi from the airport to Waikabubak cost 120,000 IDR (about €7.50) for both, whilst a private ride from to Waikabubak to Tambolaka airport in the early morning (4.30am) cost 300,000 IDR (about €20). We rented our motorbike in Waikabubak from Yuliana, a professional travel guide. 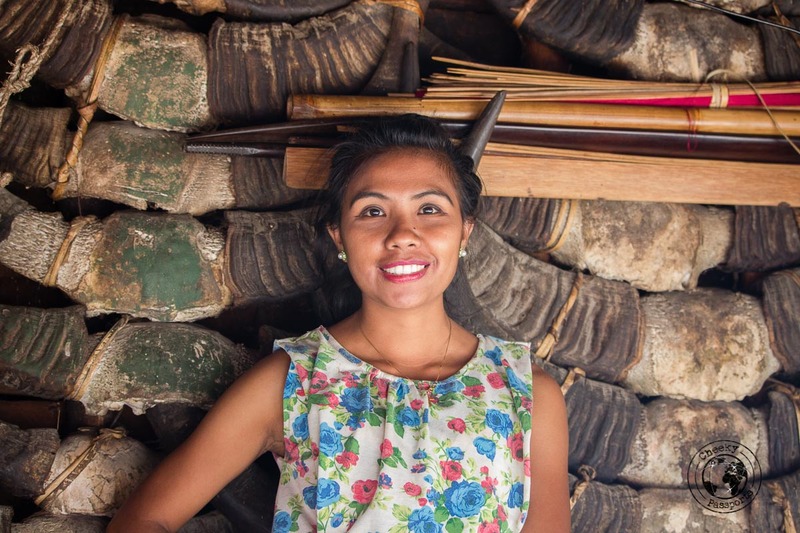 She may be contacted on yuli.sumba@gmail.com or on (0812) 361 3224; (0822) 3621 6297. A semi-automatic bike cost 100,000 IDR (about €6.20) a day. Our accommodation of choice was the Artha Hotel in Waikabubak which we used as a base from where to explore the island. It is very conveniently located in the town being about 30 minutes’ walk away from the main road where all kind of (limited) amenities can be found. The owner speaks English and although he didn’t manage to arrange a bike rental for us, he was anyway very helpful. We paid 250,000 IDR (about €15.50) for a private room with a mandi bath and toilet which is considered to be very affordable in Sumba. With no infrastructure, the limited tourist service costs tend to be higher than those on other Indonesian Islands! Of course, if you afford it, the Nihiwata Resort is the best accommodation option available on the island. Other acccommodation options on Sumba island can be booked on Booking.com or Agoda. 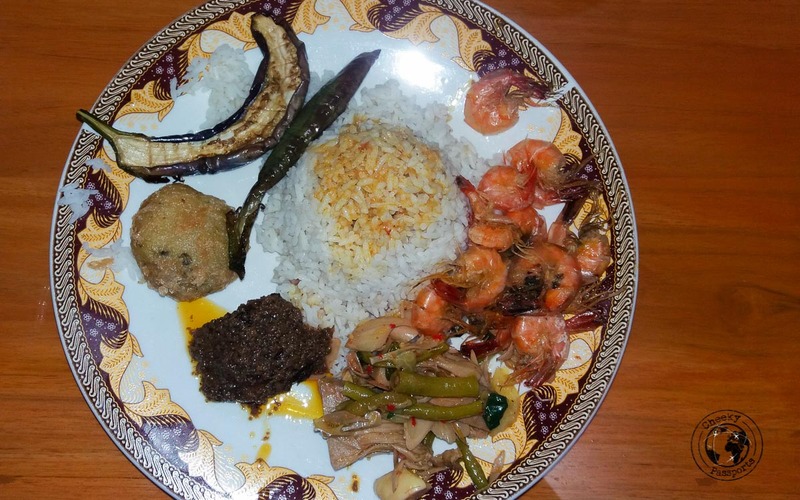 We typically ate at a warung on the main road called Pondok Salero which we found to be very clean (as far as local warungs go) and extremely well-priced (typically about 60,000 IDR – about €3.70 for 2 meals and drinks). We also tried the only western restaurant in town – D’Sumba Ate but were very disappointed with the minuscule burger and semi-decent pizza. 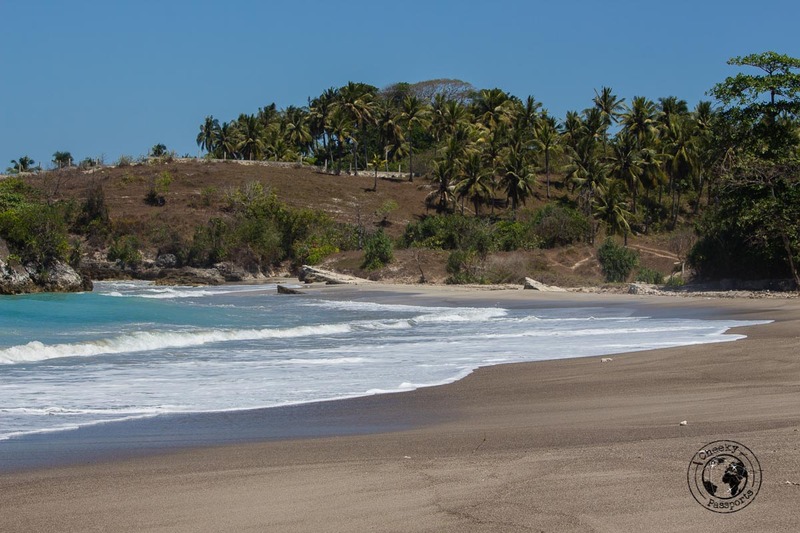 Beaches in Sumba are said to have crocodiles! Although we didn’t see any when we were there, exercise extra caution, and ask the locals for any sightings! Do not drive after sunset in the area around Kodi. Armed robbers are said to roam the roads and even locals will not drive at night. Having said that, we unintentionally did get caught driving this road after sunset (exactly what we had wanted to avoid doing all along) and we were just fine – we didn’t notice any dangers either! Lonely Planet makes reference to a tourist office in Waikabubak. This was impossible to find. Although many people directed us to all sorts of different places, we never came across it. When we tried to access Pantai Mandorak close to We’ekuri lagoon, we were stopped by three men with machetes who blocked our entry and demanded a 100,000 IDR (about €6.20) entrance fee. This did not seem like an official setup and there was no way we were going to be bullied into giving money away, so we chose to turn around (given the remote location of the area). Great info about Sumba, thank you for sharing it! Hi Aäron & Ilse, thanks for your nice comment! We are actually in China at the moment … a bit backwards with our writing haha! 🙂 Glad you enjoyed the read. Some more posts on Indonesia to follow! Amazing information/blog! Thank you so much for sharing your experience 🙂 I’ll be visiting Sumba Island next month (August 24-29) and I am so excited!!!!! We are so glad to hear that you found this information helpful! 🙂 Enjoy Sumba, it’s a fantastic destination! !